Has any of my readers started to get an idea that I may have an obsession with these Ear Warmer Headbands? I mean how many posts can a girl do, right? 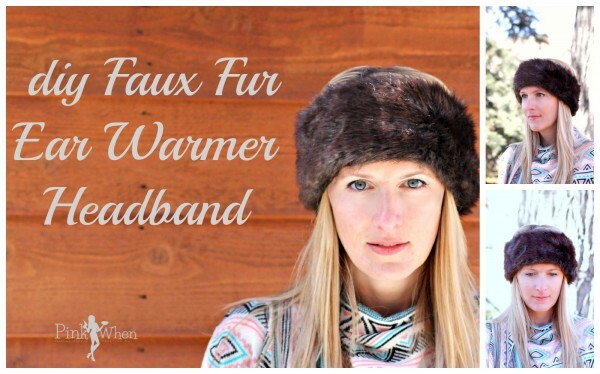 Well I have had so much fun making these, that today I am sharing my DIY Fur Covered EarWarmer Headband Tutorial with you. Before you freak out, this is not real fur. This is the stuff you buy at the craft store for 8.99 for a half yard, present your 40% off coupon for, and walk out of there paying $5. It’s faux fur! And it’s WARM. Step 1: Take a measuring tape and measure your head (just wrap it around your head). 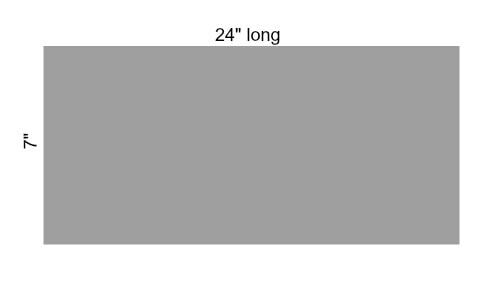 When I made my measurements, I came up with 22″ in length. Since this material is not stretchy and will be bulkier when folded over, I am cutting it at 24″. For the width I am cutting it at 7″. Step 2: Cut your material. Because of the faux furriness of this material, it will be a little messy when cutting. Cut with the liner facing up and the fur facing down (so you can see your lines). Step 3: After you have your material cut you will fold it in half with Right Sides (Furry Sides) together. 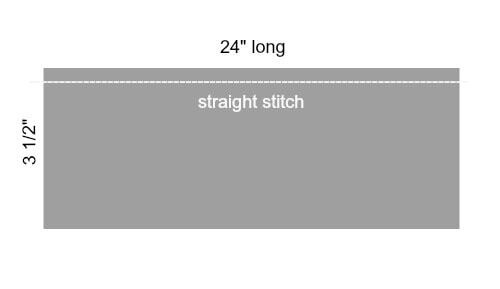 Step 4: Once your Right Sides (Furry Sides) are together, go ahead and place a straight stitch down the side of the band. Step 5: Turn your fabric inside out, and put your open ends together. Place two straight stitches down the ends to made sure they will stay together. 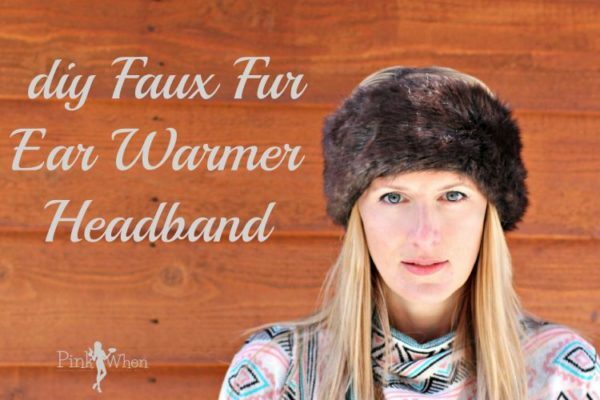 Step 6: Try on your new Fur Covered EarWarmer Headband! This was such a cool project. I like making these headbands, and I have made so many different ones that you can be sure I will share them all with you. Make sure you give this DIY Fur Covered EarWarmer Headband a try! (You could always hand sew this if you don’t have a machine.) Stay tuned for more EarWarmer Headbands! I am LOVING these photos! So awesome this week. And I didn’t freak out about the fake fur! I just got a HOT leather jacket – it’s called “vegan leather” because it’s not an animal product, but I still wonder if I’ll get glared at up here in green living land. I think it looks really good, and pretty timely considering the awful weather that you guys are having in the US at the moment. Thanks Angela! Haha, well I was in Telluride over the holidays and I am pretty sure the fur around there was NOT fake, LOL. The weather and this post sure did coincide nicely! Well it just figures! I was JUST at JoAnne’s Fabric store today and armed with several coupons to boot!! GAH! Oh no! I hate it when that happens….this is definitely worth trying! My friend’s daughter loves ear warmer headbands. I’ll show her this project! Thanks for linking to the In and Out of the Kitchen Link Party. Hope to see you next week. I love this idea, I can never find a hat to stay down over my ears so I’m going to make one of these for me – and my daughter. Love the simple instructions! This is gorgeous! I will definitely be making these for family for x-mas. It does give me an idea for an up-cycle. My husband and I bought a house that had been in his family for generations, so of course that meant “inheriting” everything noone wanted. In amongst the beautiful old church hats was a real fur coat. There is a story with it. It is not your typical fur coat but one made from a black bear that my husbands grandfather had shot in the 40’s, yes, he was one of those old timers who put meat on the table by hunting. My husbands grandmother had always wanted a fur coat but they couldn’t afford one so his grandfather had one made for her and gave it to her on x-mas. We actually have an old black and white photo of her wearing it to church service that morning. I haven’t been able to throw it away as it seems like a dis-service to the animal BUT it is very beautiful and I’m sure the women in the family would like something like your headband made out of it, if only for sentimental reasons. TY so much for the wonderful idea and instructions.